Happy Spring, everyone! I love trying out new products for my hair. Not only do I get to see how well they work, but also get to find what works for me and what doesn't. 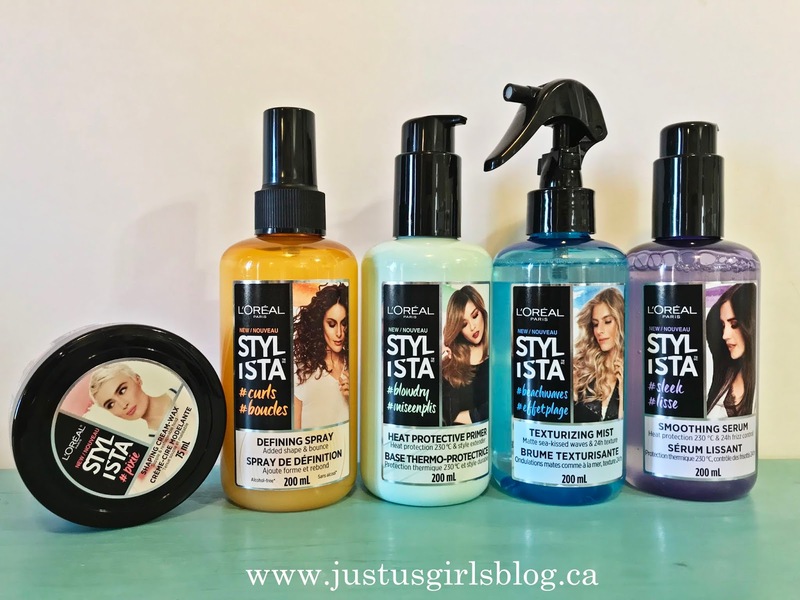 So when I got the opportunity to try out L'Oreal Paris STYLISTA hair products I was pretty excited. I'm already a fan of their makeup, so trying out the products in the STYLISTA line was exciting. I was sent the texturing mist, defining spray, shaping cream wax, soothing serum and the heat protective primer. I really liked the texturing mist, the bottle is a spray bottle and is blue in colour. The scent is light and breezy and I didn’t find it stick to the touch. 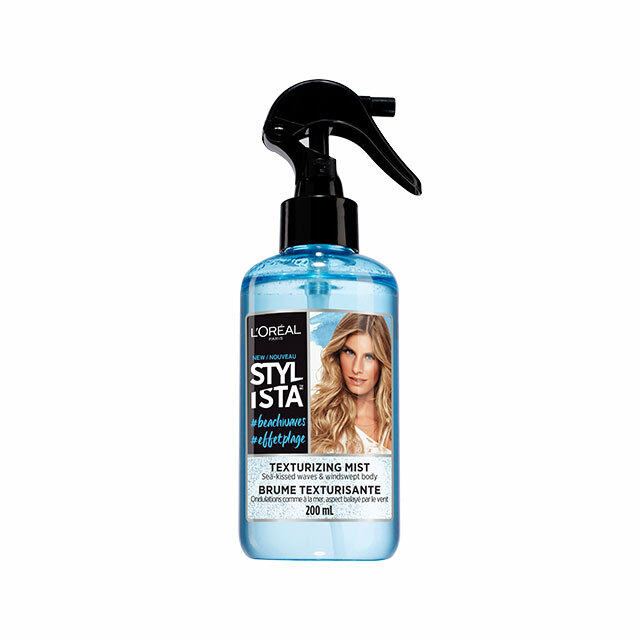 The bottle was easy to use and the product did give my hair the beachy waves I was going for. One thing I really liked about this product is it has a lock feature on it. This is a product I would want to take on vacation and this feature would give me some comfort knowing I’m not going to open my suitcase when I arrive to find my clothes covered in blue mist. I used the defining spray. after my workout at the gym. This spray was easy to use and has a nice citrus smell. 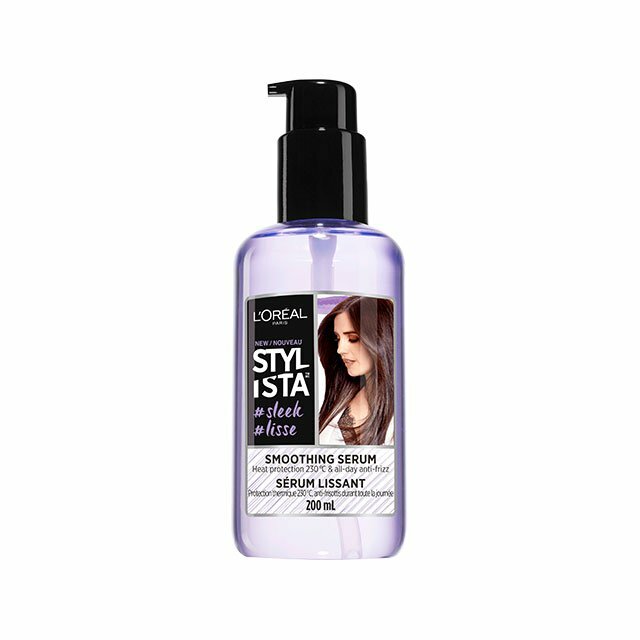 I really like the fact that I can use it on wet hair and it dries nicely. I found this product helped control my hair and gave me a nice wave. It didn’t make my hair feel crunchy like some defining sprays which was a plus! 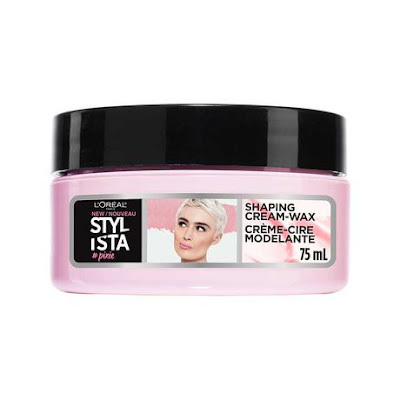 The shaping cream-wax is something I wouldn't normally use, but I decided to try it on myself while doing a Sleek High Ponytail. This product is not like other wax hair products. It is definitely on the creamier side. There isn’t really a scent to it and I didn’t find it sticky like most wax products. After applying the wax to my hair I feel like it did its job. Those little wings of hair as I like to call them, stayed in place all evening. I was most excited to try the soothing serum. The soothing serum came in a pump style bottle which was easy to use. It was purple in colour and had a floral scent which was nice! I didn’t find it sticky and was more of an oil based product. Since my hair is fairly long, My daily routine usually includes using my straightener. After washing my hair I put the serum in and dried my hair as usual. I could already tell my hair was soft and silky. After using my straightener my hair was noticeably less frizzy and I loved it! 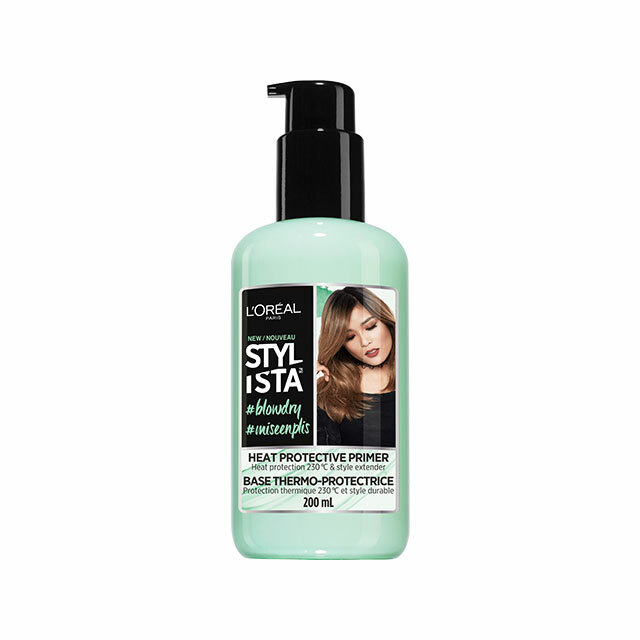 I have never used a primer before, so when I got to use the heat protective primer from the STYLISTA line I loved the outcome and I feel like this one is a great addition to my hair product collection. The primer came in a pump style bottle and was easy to use. The fresh clean scent was nice and I feel like the scent lasted a while. It has a smooth cream texture and wasn’t sticky at all. I tried it while doing a blowout on my hair and I feel like it help keep my style through out the day. 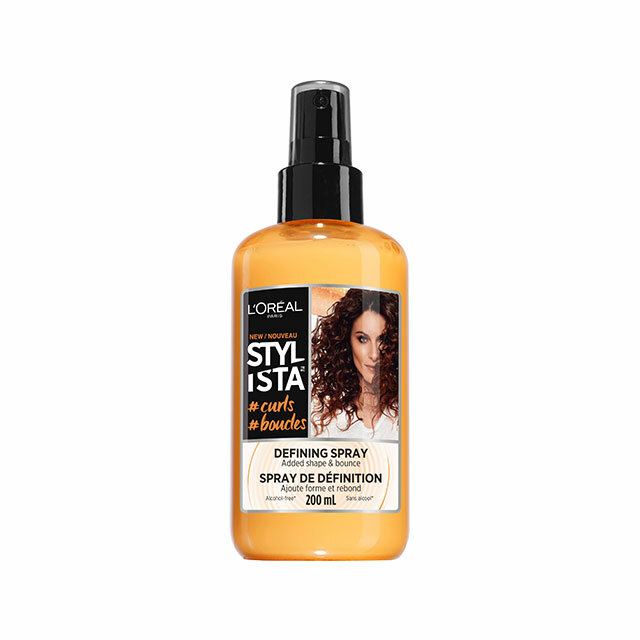 Overall, I am very happy about the outcome the L'Oreal Paris STYLISTA hair products made and will defintely be recommeding them to friends and family and will be adding them to my hair product collection. The L'Oreal Paris STYLISTA hair products are now available throughout Canada at stores, for more information on the STYLISTA hair line, check them out online.